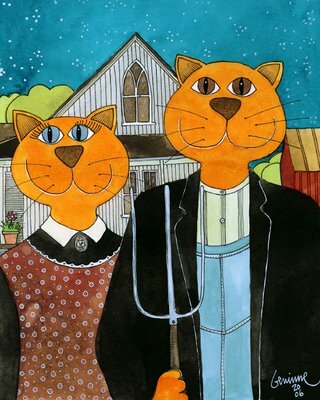 "American Gothic" a la Geninne. Watercolor & ink on paper. Made fresh for today.